Sydney-based Radical Love commissioned us to produce the animation for a viral video campaign for Wonder White bread. 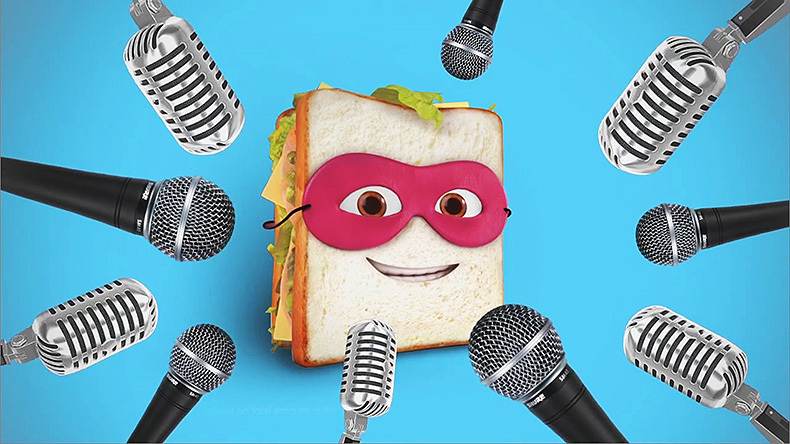 The product featured Captain Crust, a superhero of a sandwich who answers questions submitted by customers. Working with the client’s initial concept, we brought this super sarnie to life with a hyper-realistic model, luscious lighting, and plenty of character acting. One of the challenges was to make Captain Crust both appealing and appetising. In other words, giving him a larger-than-life personality, while making sure he looked good enough to eat. As a fun and engaging bread-based mascot, Captain Crust’s appeal was instrumental in successfully launching this product to the Australian market.